It’s a situation that’s still bad, by the way. One of Nashville’s water treatment plants is offline, so the city is short on water. Thousands of people are without homes, and thousands more are stuck in their homes thanks to flooding. 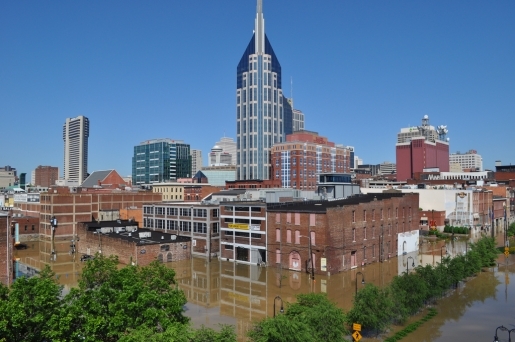 Nashville’s civic institutions, like the home of the Nashville Predators (Bridgestone Arena), the Tennessee Titans’ LP Field, the Country Music Hall of Fame, the Grand Ol’ Opry, and the Schermerhorn Symphony Center are underwater. One look at the Nashvillest Flickr pool will show you that it’s going to get worse before it gets better. I encourage everyone to help out by donating to one of the relief organizations on the ground in the city.